Happy Monday guys!!! I am sure you are all wishing you were back in bed or on vacation after this past Easter weekend, even though as a mom you never really don’t right? Sofia and I had the best time with family and got really excited when hubby got off 30 minutes earlier to party with us at home. Even though it doesn’t seem like a lot, it means more than you know. 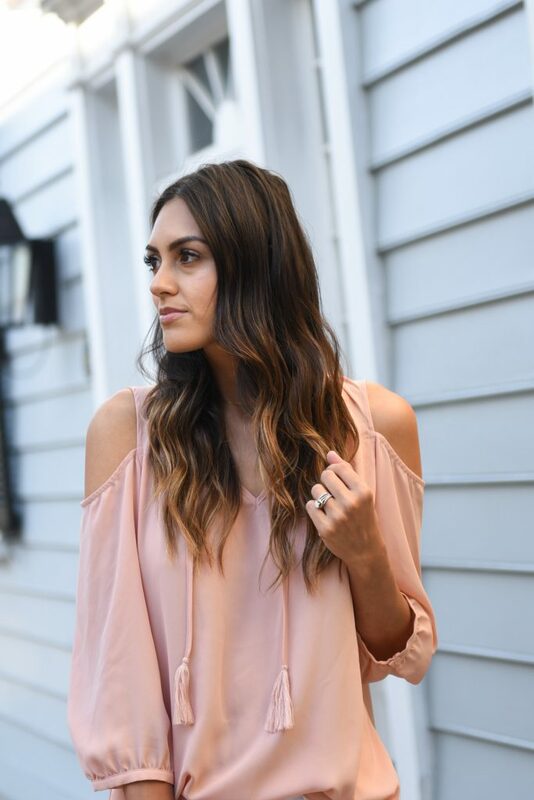 This Alissa top from Elaine Turner takes the cold shoulder trend to a whole new meaning. 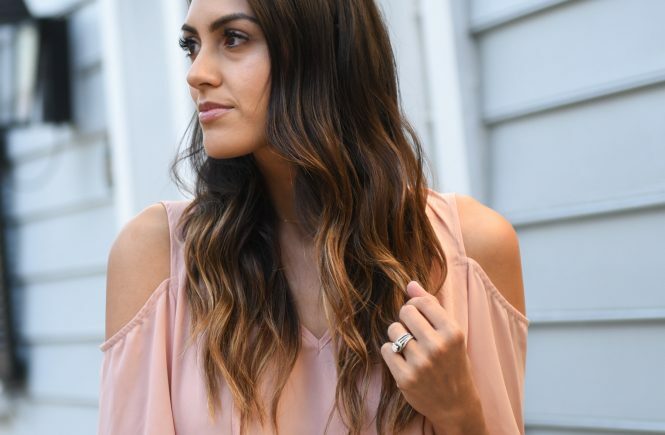 I love how versatile it is and that it can be worn for any occasion that you might have now or in the future. Plus with spring and summer weather, the Alissa top is made of lightweight fabric to handle the warm/hot season. I love pairing it with white jeans and wedges like below, or some ripped jeans and scandals for a more casual look. One thing though is you will also see me pairing it with another Elaine Turner favorite, the Seraphina bag which you have seen in multiple blog posts and my social media. Thank you Elaine Turner for sponsoring this post. As always all opinions are my own.